If you think "cats > catcalls," and "pizza > patriarchy," (which, come on, who doesn't? ), Femininitees is worth a follow. 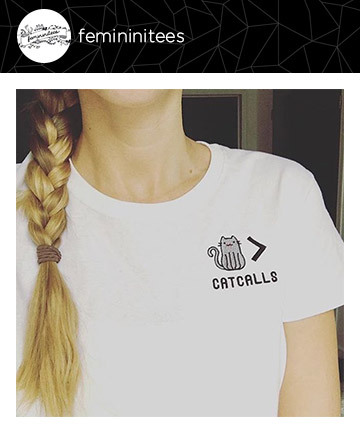 It's an online store that sells adorable embroidered feminist T-shirts and donates a portion of the proceeds to the National Organization for Women (NOW). What's the downside?